Samuel Ruiz was known as the Bishop of the Indians and became a symbol of struggle for oppressed people in Chiapas, Mexico. 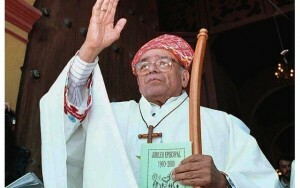 Ruiz, who died Jan. 24, came originally from the Catholic Church’s conservative diocese of León, Guanajuato, in the central part of México. In her third in a series of reports from Mexico, Lindajoy Fenley explores the Afromestizo traditions of southern Mexico’s Costa Chica that includes parts of the states of Guerrero and Oaxaca. Journalist, investigative poet, and social activist John Ross died peacefully Jan. 17 at Lake Patzcuaro in Mexico, where he had lived on and off for the past 50 years. He was 72. The cause was liver cancer. 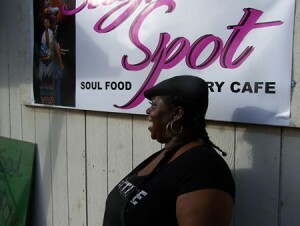 Kenyatta Aarif knew her high blood-pressure reading had startled two student nurses from Chico State. The nursing students were conducting a public-health outreach project in Oroville’s depressed Southside neighborhood, checking the blood pressure of the willing every Thursday during their fall semester.